Leaders know that high reliability is necessary in healthcare, where the consequences of error are high, and margin of error is low. But how do we ensure that our entire team understands the importance of high reliability when they are faced with challenging, ever-changing environments and dissonance in the workplace? A manager working in the ICU is told during her annual review to reduce her number of central line catheter infections and increase her staff satisfaction. At the same time, she should continue diligently to flex staff on and off shift to maintain productivity levels. Fortunately, this nurse leader had team members who were in alignment with the overall mission of the organization – to improve the health of those we serve with a commitment to excellence in all that we do. She was able to tap into resources within the organization and assist her front-line leaders in developing improvement ideas for reducing central line infections. The manager and her team were committed to reducing harm and made small, incremental steps over the year to meet their collective goals. Not every change succeeded in reducing infections, but opportunities to learn did lead to standardized workflows for dressing changes, and appropriate product selection. The manager’s support, guidance and overall trust in the team’s process led to overall satisfaction of her workforce. Their successes were celebrated at the unit, department, and organizational level. Yes!!! Yes, it can be difficult, but developing a high reliable team can be achieved by developing capabilities to detect, contain, and bounce back from situations that have already occurred, before they worsen and cause serious harm. A resilient organization maintains a high level of performance despite day to day pressures, threats, and uncertainty. Two organizations that have been successful in developing such environments are Duke University and the Minnesota Hospital Association. In partnership, the organizations created the Webinar Implementation for the Science of Enhancing Resiliency (WISER) Training. I was fortunate to participate in the WISER training as a graduate student at Duke University School of Nursing and again as a Clinical Nurse Specialist at Texas Children’s Hospital. 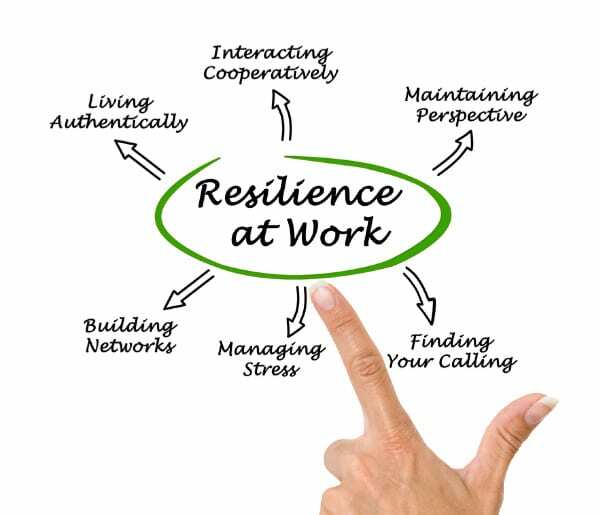 I learned how to enhance my personal resiliency and also guide companies in building resilient practices as highly reliable organizations. Two specific strategies I continue to use daily journaling and bite sized resilience (three good things). I’ve included below how journaling helps to build self-awareness and enhance resilience. Also included are instructions for bite sized resilience through three good things. Each day write down three good things that happened. They can be anything you feel good about or grateful for. Even on a bad day there are normally some things that we can feel good about. Taking time to be grateful is not about ignoring the bad things – it just helps us focus our attention more on the positive, rather than dwell on the negative. Multiple studies have shown that by recalling three positive things each evening enhances individuals’ ability to recognize positive moments in their day. To get used to the idea, describe three good things that happened to you yesterday, and why they were good. Try to include why you felt each of the things was really good. Many highly reliable organizations are adapting the three good things process and incorporating it into shift handoffs. During patient handoff, care providers are sharing three good things that happened on shift or prior to coming to work. Anecdotal discussions around this process shows promising results in decreasing negativity and enhancing effective patient handoffs. More to come! Our current work culture is a direct reflection of the increasing complexity and demands faced by healthcare globally. Perhaps now more than ever before, job stress poses a threat to the health of workers and, in turn, to the health organizations. One approach to becoming that high reliability organization is building resilience in its employees and its organization. The team at the Healthy Workforce Institute has incorporated many of the strategies discussed in this article. Listed below are but a few articles, blogs, and other resources available to you. It’s time to connect, learn, and lead your organization with strategies that work.